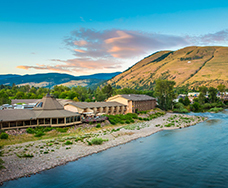 Located within the DoubleTree by Hilton Missoula Edgewater hotel, Finn and Porter will entice you with a fabulous riverside view, extraordinary service, and a savory menu of seafood, steaks, and chops. Breakfast, lunch, and dinner options can all be enjoyed inside the restaurant, outside on the deck, or in a private dining area. The restaurant also offers a variety of specialty cocktails, select wines, and happy hour specials. 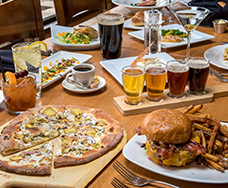 Happy hour is Monday-Friday, 3pm-6pm offering draft beer specials, well drink specials, and specialty martinis. Pizza, oysters on half-shell, and antipasto specials are available as well! 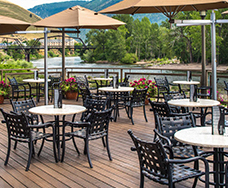 The restaurant and deck provide a breathtaking view of both Mount Sentinel and the Clark Fork River that truly capture the beauty Montana has to offer. 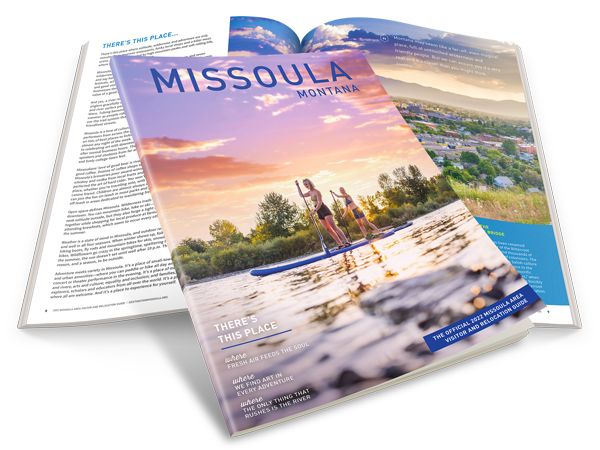 With local fisherman and summer floating enthusiasts often on the river, guests of Finn & Porter have plenty to appreciate while dining on delectable dishes.